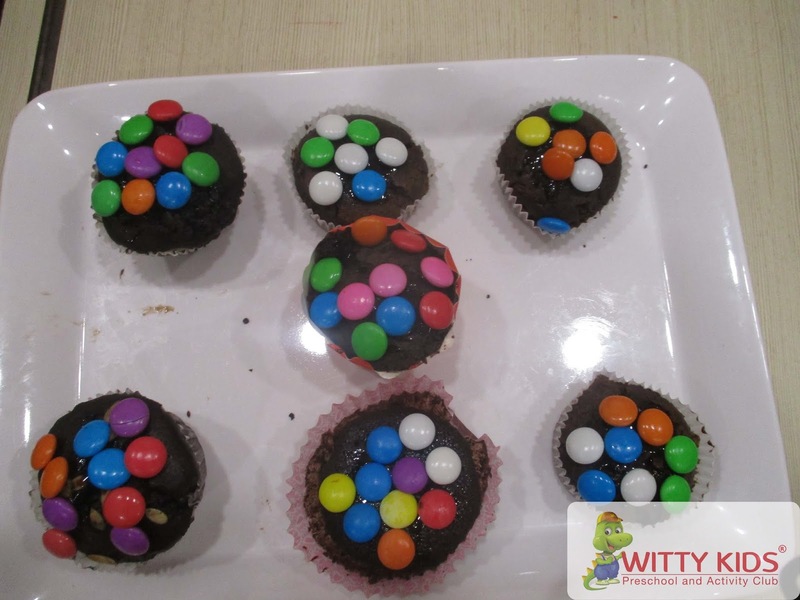 Kid’s really love the idea of decorating their own food, especially when there is something chocolatey with fun toppings involved. 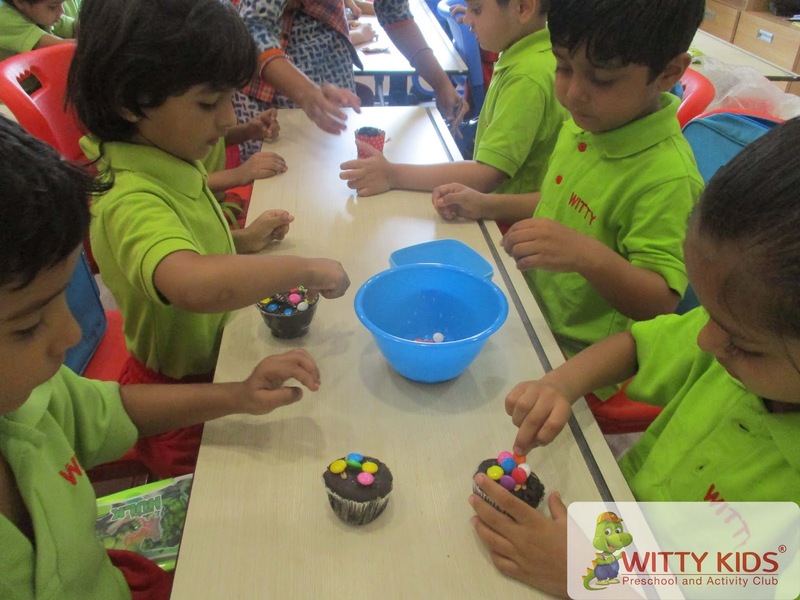 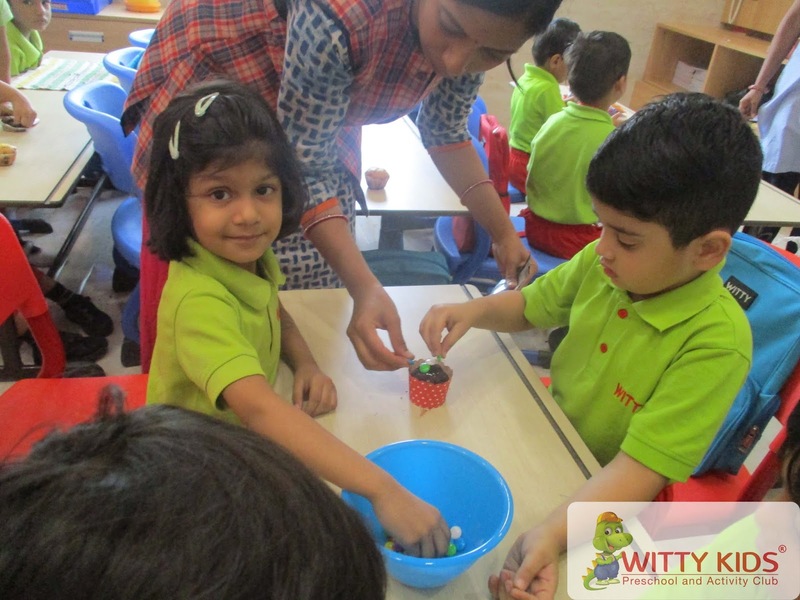 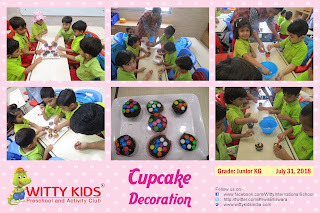 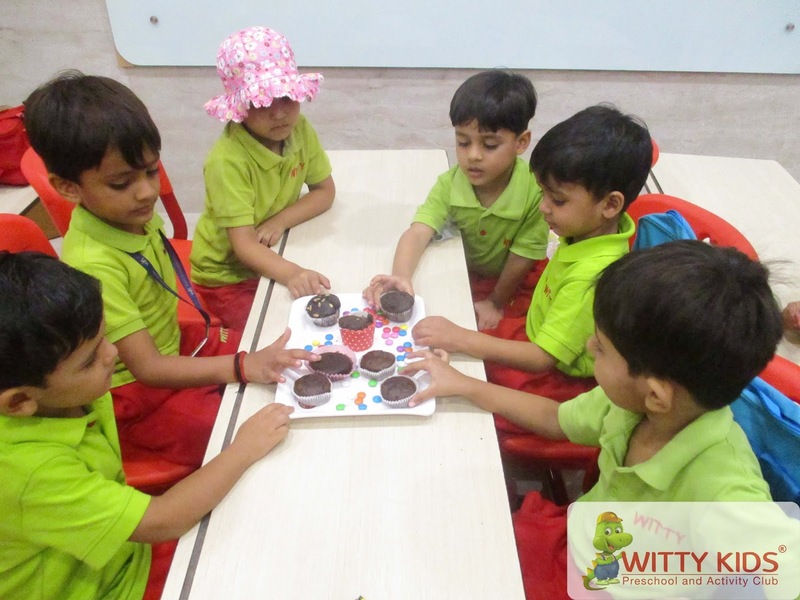 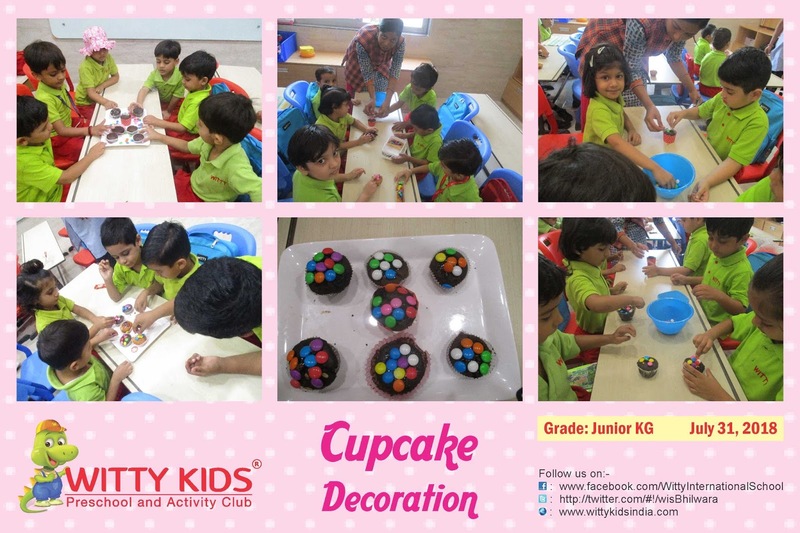 A cupcake decorating activity was a hit for the tiny tots of Jr.KG of Witty Kids, R.C. 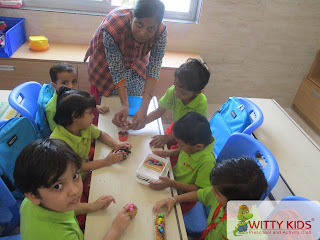 Vyas colony, Bhilwara. It was a yummy treat all in one. 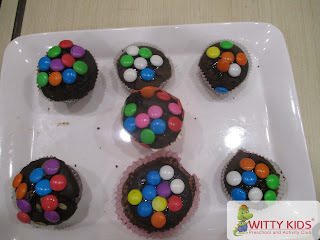 The kids brought cupcakes of their favourite flavour and decorated it with the colourful gems and to make it more chocolatey and tasty, they spread Hershey's chocolate syrup on it. 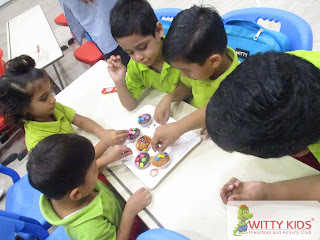 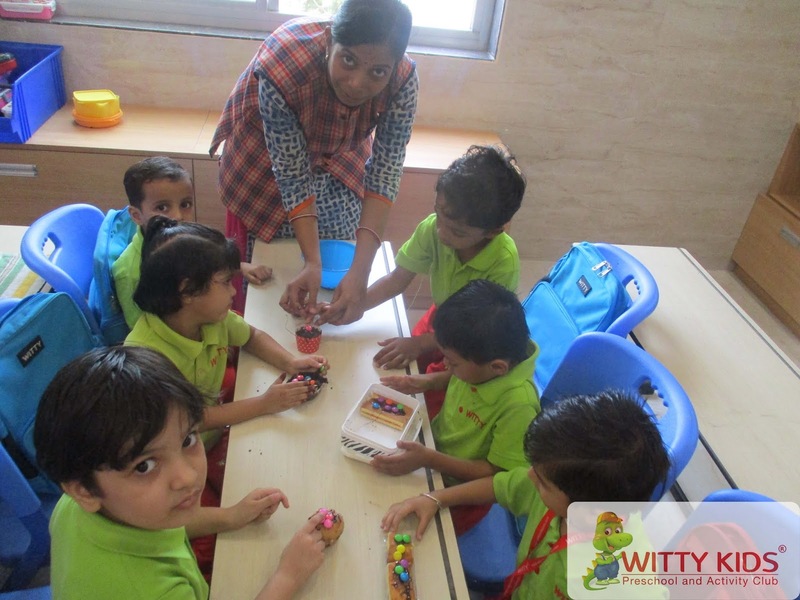 It was an innovative way to make them learn about the concept.